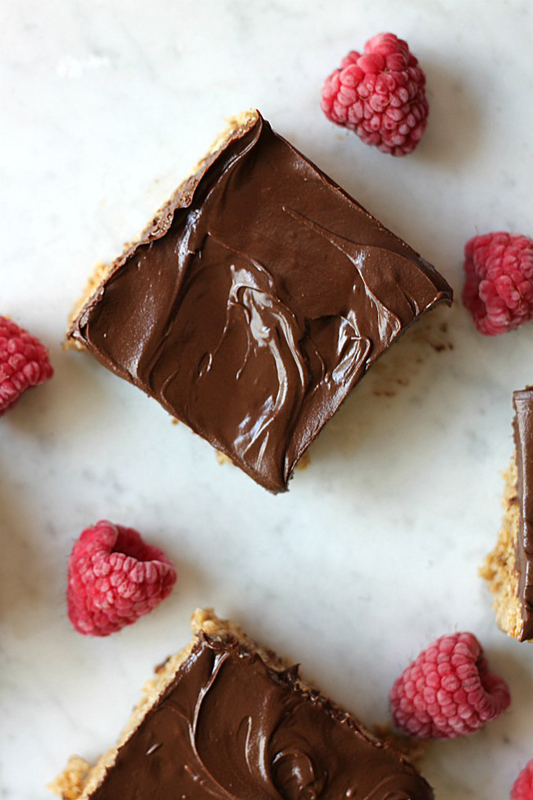 What’s chewy, loaded with oatmeal (making it a candidate for breakfast 😉 ), and has chocolate spread on top? These O’ Henry bars! You guys. 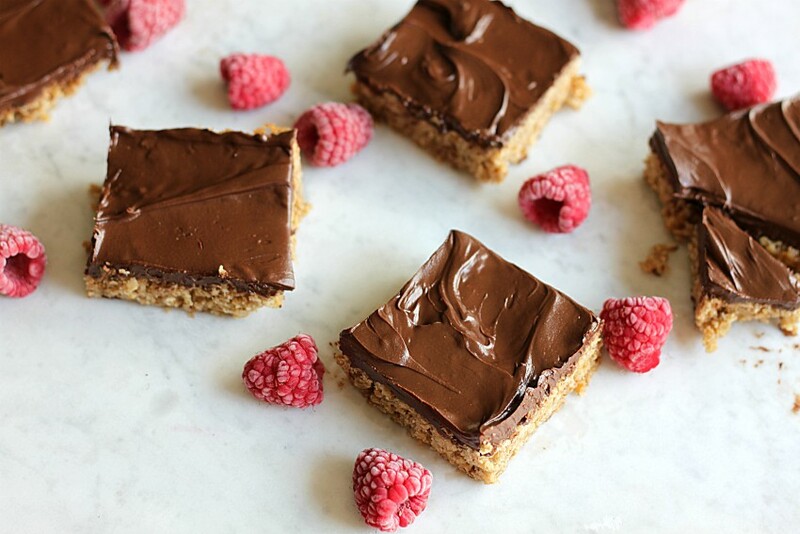 If you’re a fan of chewy bars, this treat is for you. 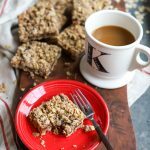 Made with Golden Barrel Light Corn Syrup, the oatmeal-based bars are soft and chewy. 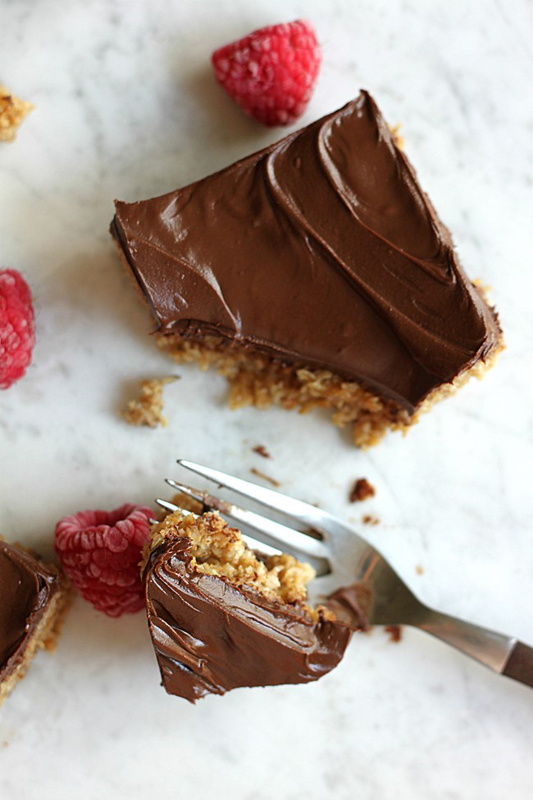 And the chocolate topping–yum. It’s simply melted chocolate chips, peanut butter and a splash of vanilla extract. Seriously finger-lickin’ good. 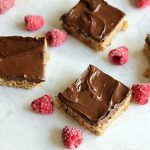 These bars are super easy to whip up and only require about 20 minutes in the oven, making them a perfect go-to snack or a treat to bring along to a friend’s house. They won’t last long. I gave Finn a piece to try and he was quickly asking for another one. They’d also make the perfect after-school snack. 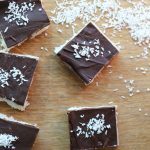 So do you need a treat to bring along to a potluck? Or maybe a new after-school snack? 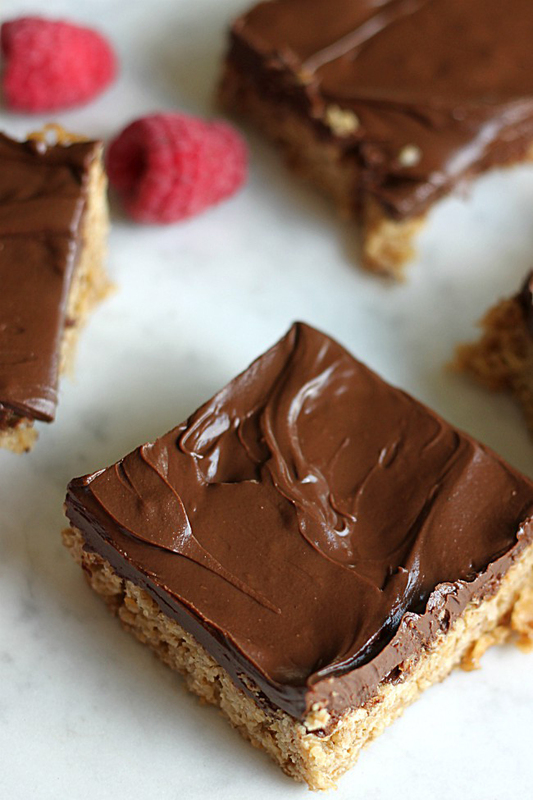 Or maybe just a tasty dessert–whip up a batch of these O’ Henry Bars today! 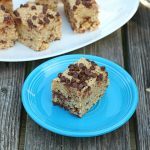 Chewy, buttery, oatmeal bars with a smooth chocolate peanut butter icing...these bars are sure to be a hit at your house! In the bowl of a stand mixer, cream together butter and brown sugar until light and fluffy, about 3 minutes. Add corn syrup and mix until incorporated. Remove from stand mixer and mix by hand the oatmeal and salt, until combined. Pour mix into a greased 9x13" pan. Bake for 20 minutes or until the edges start to bubble. Let cool slightly. 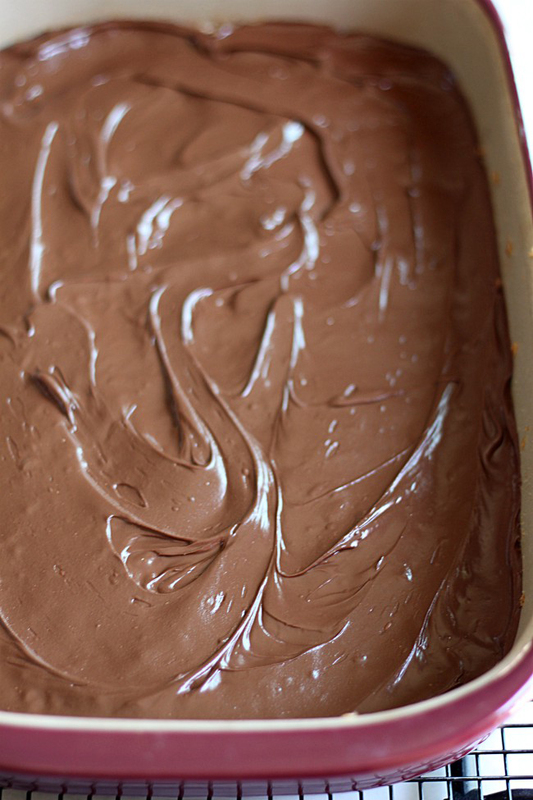 Melt chocolate chips and peanut butter in a double boiler bowl over stove, stirring until completely melted. Turn off heat and add vanilla extract. 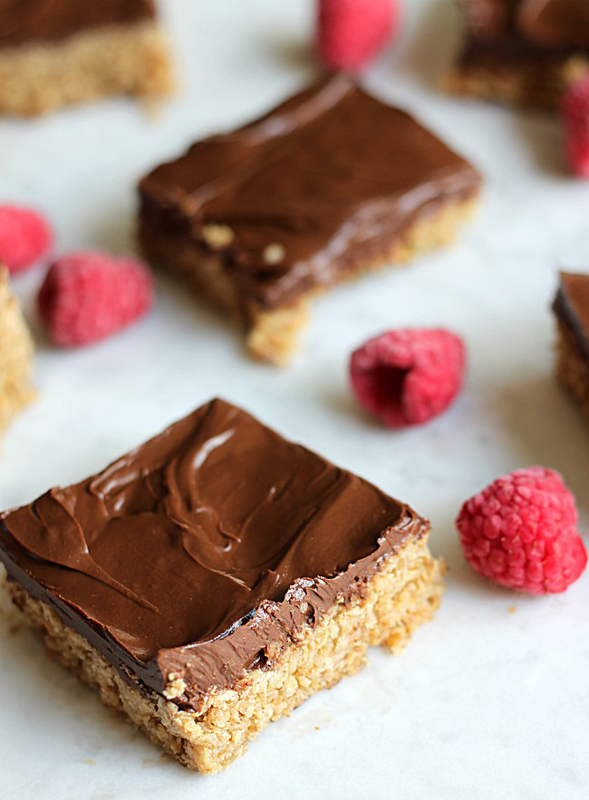 Spread over oatmeal bars. Cool before cutting and refrigerate. Love these bars! I have successfully made these in the microwave too! Awesome! Glad you like them, Barb! I want to make these ahead of time for Thanksgiving. If I make on Saturday, how should I store them until Thursday? In a tin or in refrigerator? Or both?